Despite low commodity prices, a multinational minerals rush is reawakening Greenland’s dormant mining industry, stoking hopes for economic independence. But how many proposals will be able to brave low prices and a lack of infrastructure? This is the first of a two-part series on mining in Greenland. The mineral wealth locked within Greenland has long been unattainable. Once blocked by ice, regulations or simply considered too remote and too expensive to extract, the region’s rich mineral deposits have captured the attention of foreign business interests in recent years. Greenland’s melting ice sheet – and its desire for economic independence – are making the prospects commercially viable. “When the ice is melting, you get access to more material,” said Josephine Nymand, head of the Department of Environment and Minerals at the Greenland Institute of Natural Resources. That enhanced access applies mainly to offshore resources such as oil. As many as 31.4 billion barrels of oil (or its equivalent) may lie off of Greenland’s northeast coast, with another 17 billion barrels along its western shoreline, according to the U.S. Geological Survey. Although companies have spent billions of dollars on projects and continue exploration efforts, there has been no commercial development of offshore oil wells. On land, the retreating margins of the ice sheet have exposed new mineral deposits, coaxing mining companies into action. Improved navigability of thawing Arctic shipping routes has further piqued the interest of companies worldwide. In recent years, Greenland has seen renewed interest from global mining companies, presenting new possibilities for mineral development. The shift could inject life into a stagnant economy that is now largely dependent on the export of shrimp and halibut, and an annual grant from Denmark. 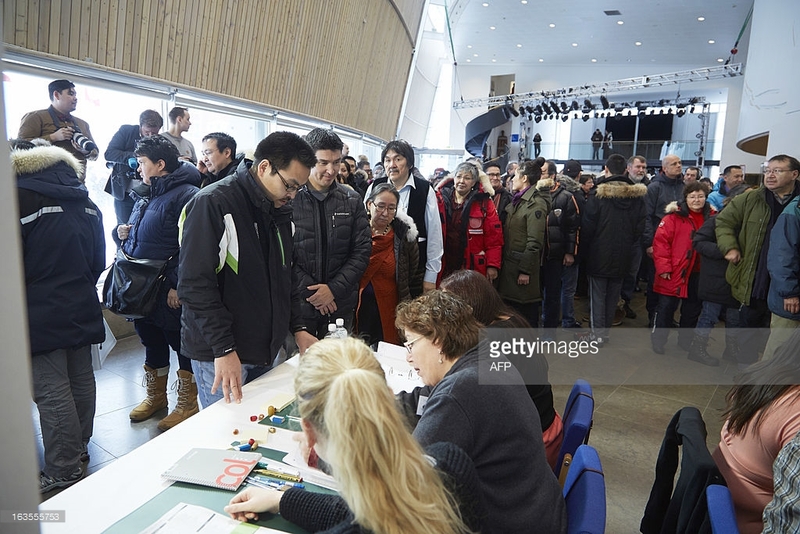 The ensuing public debate over mining policy dominated Greenland’s fiercely contested general elections in 2013 and 2014, in which the pro-mining Siumut party wrested executive power from the Inuit Ataqatigiit party, which resists high-profile uranium and rare earth mining projects. Although the issue has since faded from headlines amid a slowdown in global mineral markets, officials in both the public and private sectors indicate that the self-governing Danish territory is still moving ahead on a number of proposed mining projects. Soren Pedersen, who oversees the department within the Ministry of Mineral Resources that reviews the technical aspects of mining applications, said the media are mistaken that the weak global mineral markets have diminished the interest of multinational companies in Greenland’s untapped resources. Exploration, feasibility studies and applications can cost hundreds of millions of dollars. Companies that have already invested in developing these natural resources won’t let the market trip them up, said Pedersen. “These projects have been in the pipeline for 10 years or more, so they’re not giving up on a day-to-day basis,” said Pedersen. Greenland remains under-explored, but a handful of mines are poised to become pioneers in realizing the country’s mineral potential. Six projects, mostly in southwest Greenland, have either broken ground or are at the most advanced stages of consideration. The government has granted the companies behind them exploitation licenses or is expected to process the final phases of their applications within months. The projects vary by size, the resources targeted, location and level of controversy. In December, for instance, a ruby and pink sapphire mine owned by Canadian company True North Gems began operation in southwest Greenland. The Aappaluttoq mine sits about 240 kilometers (150 miles) south of Greenland’s capital, Nuuk, and will excavate 2.8 million tons of ore over eight years. Pedersen says it is regarded as relatively benign. The scale of that project is dwarfed by a proposed zinc and lead mine at Citronen Fjord in extreme northeast Greenland, which Pedersen said “has the potential to be the first large mine” in operation in Greenland. The mine would produce 3.3 million tons of zinc and lead per year and is expected to employ upwards of 450 foreign workers. The Citronen site, eyed by Australian company Ironbark Zinc, is remote even by Greenland standards. The nearest town is not in Greenland, but on the Norwegian archipelago of Svalbard. If its application goes through and the project is developed, ice conditions are expected to leave the mine with only a 60-day window in late summer to ship out their production from the entire year. But perhaps no proposal has caused more of a stir than Greenland Minerals and Energy’s Kvanefjeld project in southern Greenland, near Narsaq. If approved, company officials say the site would become the first mine for rare earth elements operating outside of China, and would also tap into zinc and what could be the world’s second-largest deposit of uranium. In 1988, Greenland banned the mining of uranium and other radioactive elements. That policy was reversed in 2013 and made the mining of uranium and rare earths – an essential component in cell phones and other electronics – possible. 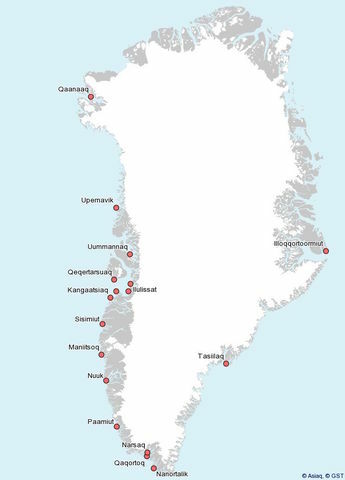 In January, Greenland and Denmark reached an agreement that would allow for the export of uranium from Greenland. The company, which is headquartered in Australia, has submitted environmental and social impact assessments, and is now awaiting government guidance before proceeding with the final stage of the application. Commodity prices aside, mining companies face other hurdles in developing Greenland’s mineral resources. They must develop the ports, access roads and power sources from scratch to get their workers and equipment to the sites – and to get the minerals out. Throughout much of Greenland, “the logistics, the transportation, the infrastructure is not there,” said Johannes Kyed, Greenland Minerals and Energy’s corporate social responsibility manager. 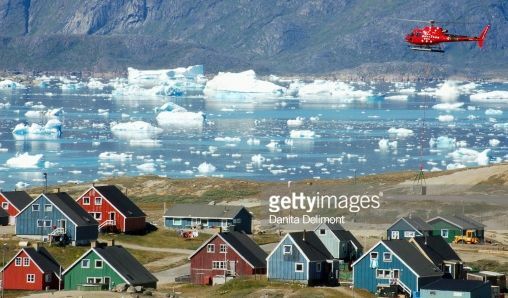 But Kvanefjeld, which is situated along the more temperate fjords of southern Greenland, may not face the same logistical challenges. There are, of course, some notable exceptions of mining projects that have been scuttled due to unfavorable market conditions. The price of iron ore – coupled with problems with the sale of a mine in Sierra Leone – forced the British company, London Mining, into bankruptcy, indefinitely stalling plans for a massive mine just north of Nuuk that would have potentially employed thousands of Chinese workers. NunaMinerals, a company which had counted the Greenlandic government as its largest stockholder, similarly folded in 2015. Meanwhile, hopes of drilling for offshore oil in the foreseeable future have dimmed, although exploration continues. “It would be another story if the price (of oil) was above $100 a barrel,” said Pedersen. The mines could play a decisive economic role for Greenland, but they could also have profound environmental and social consequences, including the influx of thousands of foreign, male laborers into a culture of just 57,000 people. Pedersen said much of the mining discussion that dominated Greenland’s 2013 elections centered on how to get more out of the territory’s dormant minerals industry, which at that time had no mines in operation despite supporting them for much of its history. Now Pedersen said he is cautiously optimistic about Greenland’s mining outlook. He said he expects to see at least half of the six most advanced projects in production by 2018, although high start-up costs and shaky markets might stop the others. This version corrects an earlier version of the story in which it was reported that Greenland had banned the mining of uranium and other radioactive elements in 1998. In fact, the ban was established in 1988.